Local eats in January comprise mainly of root cellar vegetables, such as sweet potatoes. While I’m fond of these orange-fleshed jewels, I’ve also had my fill of them by this point and am eager to try to incorporate them into something novel. I’ve adapted this Williams-Sonoma Recipe into something healthier for an everyday breakfast using more sweet potatoes, whole grains, and even some whey protein, which is completely optional. They freeze beautifully. Cool them on a cookie rack prior to placing in the freezer and reheat in the toaster oven when you’re ready. 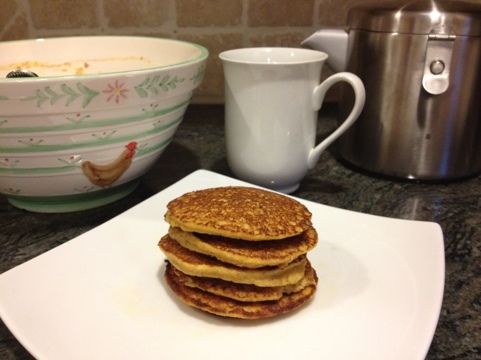 I used a stick blender to create a smooth mixture of the sweet potatoes, eggs, and milk. I then added the dry ingredients until just combined. Cook the pancakes in a stovetop pan in a little butter and/or oil. The flock has decided to sleep on top of the coop in the snow tonight. They’ve never taken to sleeping inside. My guess is that the roosts are too low. However, with the snow coming down, I thought they might at least try. 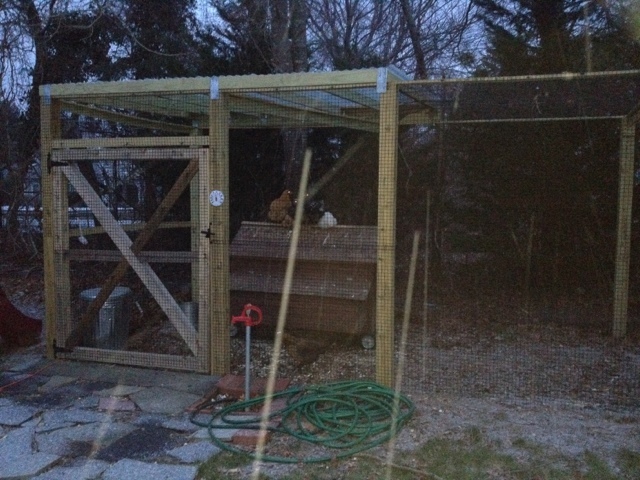 Fortunately, that wonderful husband of mine built a corrugated roof this past summer and “Backyard Poultry” magazine had a reassuring article about the benefits of open air this past issue, so I know they’ll be fine. One day later and another baby chick has decided to grow up. 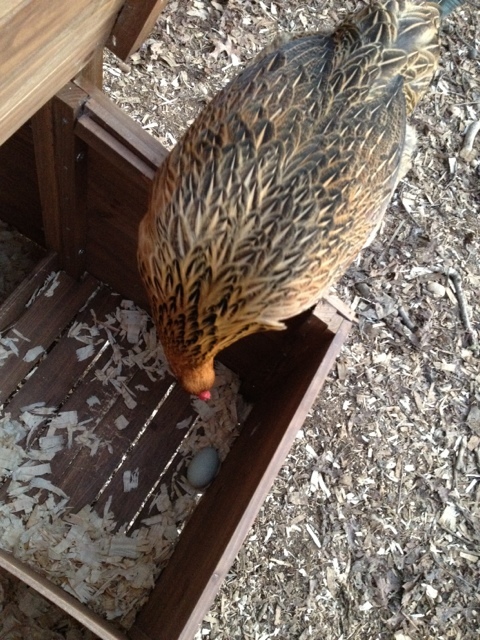 My guess is that this second egg is from our bantam brahma, Bok-Bok, which, yes, our daughter named. I was thrilled to discover our first egg this afternoon. 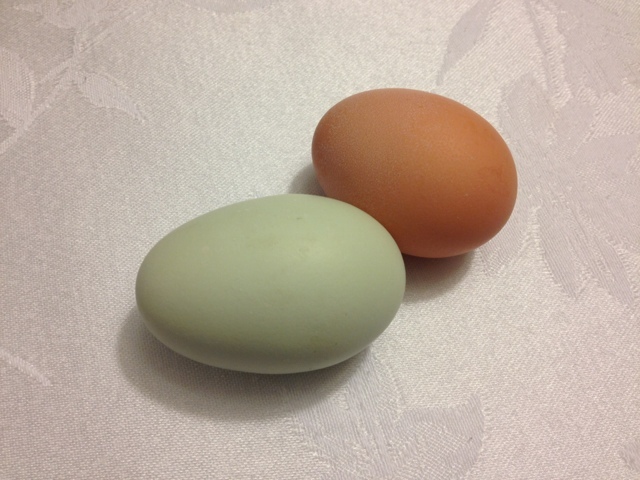 It comes from our Easter Egger and is a pale blue-green. It’s so exciting!